Enjoy a friendly set on one of our two tennis courts or get in an early morning workout before your commute. Our lavish community clubhouse is perfect for entertaining friends and neighbors, as well as sending out a fax or making a few copies. Whatever your busy schedule has in store, our Baltimore apartments will keep you coming home happy. 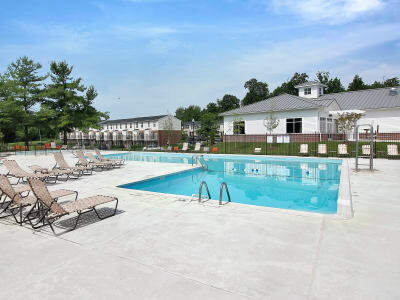 From fun outdoor playgrounds for the kids, to planned social activities, to two shimmering swimming pools and relaxing deck, all your needs are seen to at The Apartments at Diamond Ridge in Baltimore, MD. Get in touch with our Morgan Properties management team to learn more about pet-friendly apartments convenient to Baltimore MEPS.